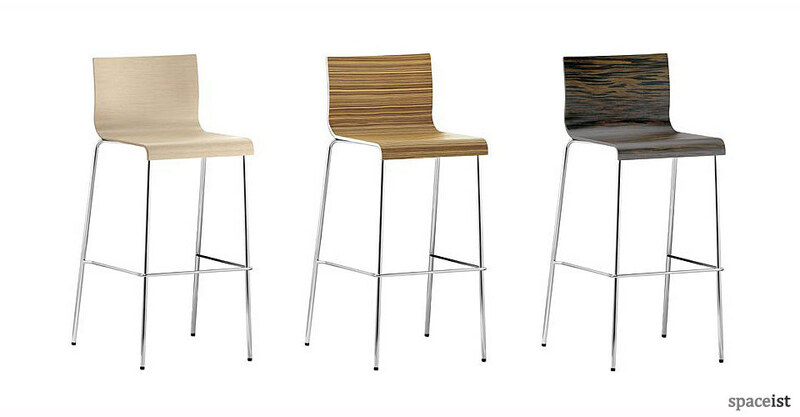 Categories: Bar stools, Cafe furniture, Wood bar stools, Cafe furniture, College bar stools, Staff bar stools. 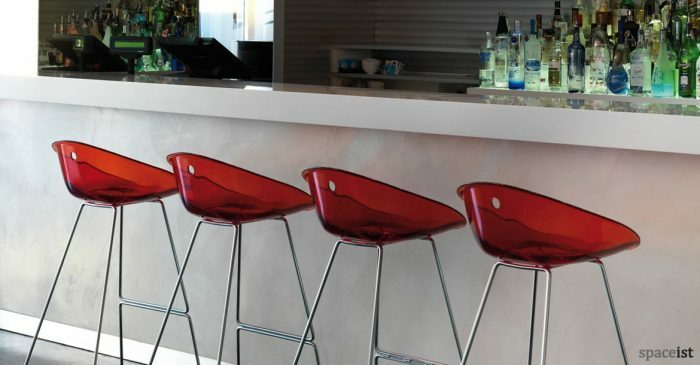 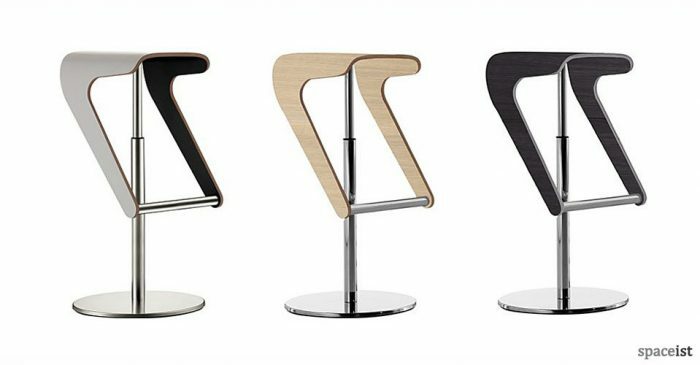 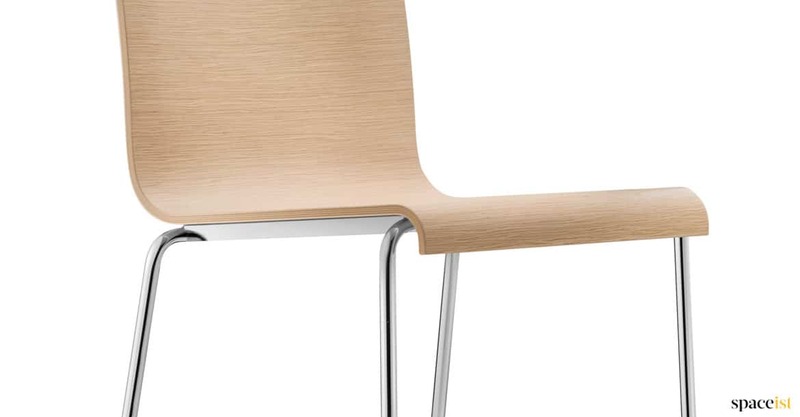 A high bar stool variation of the Kuadra cafe chair, this range presents practical and economical cafe, restaurant and bar seating options. 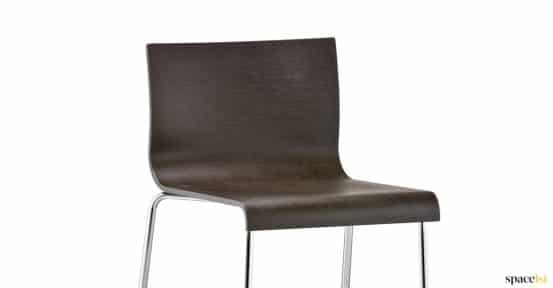 Made with a veneer seat, choose from three wood grain style finishes include zebrano and ebony, as shown here or bleached oak. 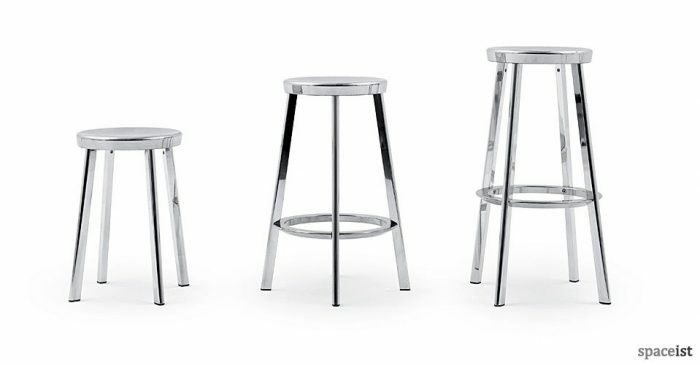 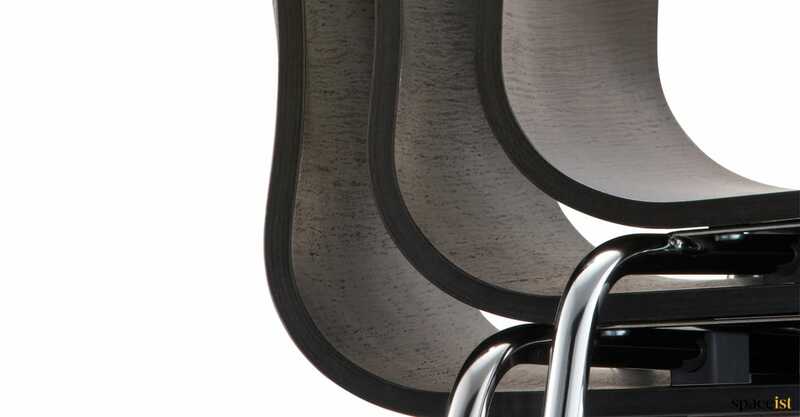 The base legs, shown here in chrome also come in satin chrome and include a foot bar. 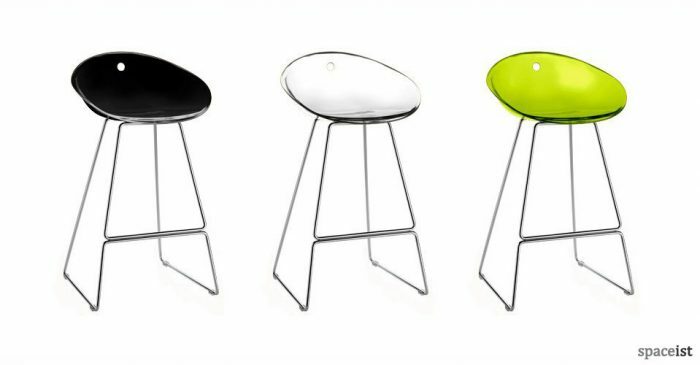 Contact us now to receive further information on the Kuadra range.